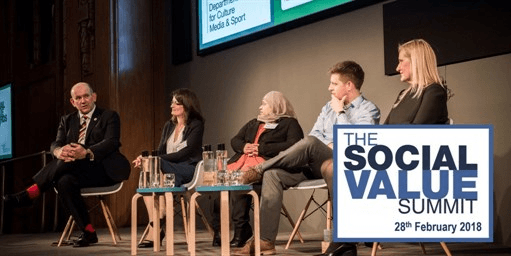 Now in its fifth year, the Social Value Summit is the leading event on social value in the UK attracting over 350 leaders from across the private, public and social sectors. This year’s event is taking place at the IET in London on 28th February 2017. At a time when the NHS is being asked to do more with less, the Social Value Act is being used to help maximise the value from existing spend; as a way of transforming services through partnerships and collaboration; and as a route to both innovation and cost savings. Early bird tickets still available – Click here to book your place today. The one day summit will be taking place at Institution of Engineering & Technology, Savoy Place, Embankment, London. IET London: Savoy Place, Savoy Place, London, United Kingdom.